Self build shows are a must, whether you’re just at the early stages of considering a self-build, or whether you have planning permission in place and are ready to go we can’t stress enough how important it is that you attend one. You’ll find these events well worthwhile – after all, where else can you speak to experts from timber frame companies, kitchen companies, window companies and all the other companies that can help you in one place? 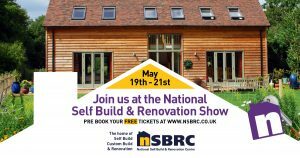 This year we’re attending the three key self build shows which, in our opinion, will offer you best value in terms of quality of exhibitors and focus on self-building.